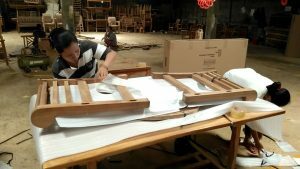 MoreThanTeak.com is an Indonesian Furniture manufacturer for Garden Furniture, Outdoor Furniture and Patio Furniture. 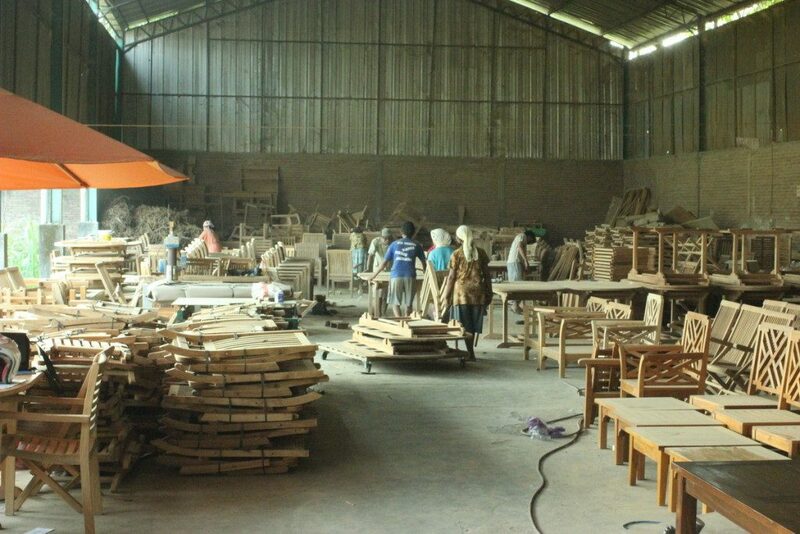 Located in Jepara Indonesia, the company provide high quality Teak Wood Furniture and Teak Reclaimed / Recycled Furniture. 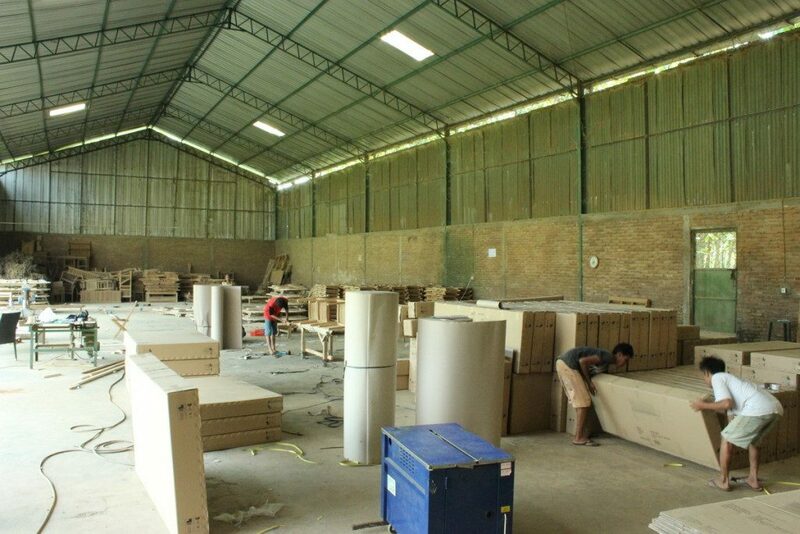 Years of experience make our furniture to be a world class product. 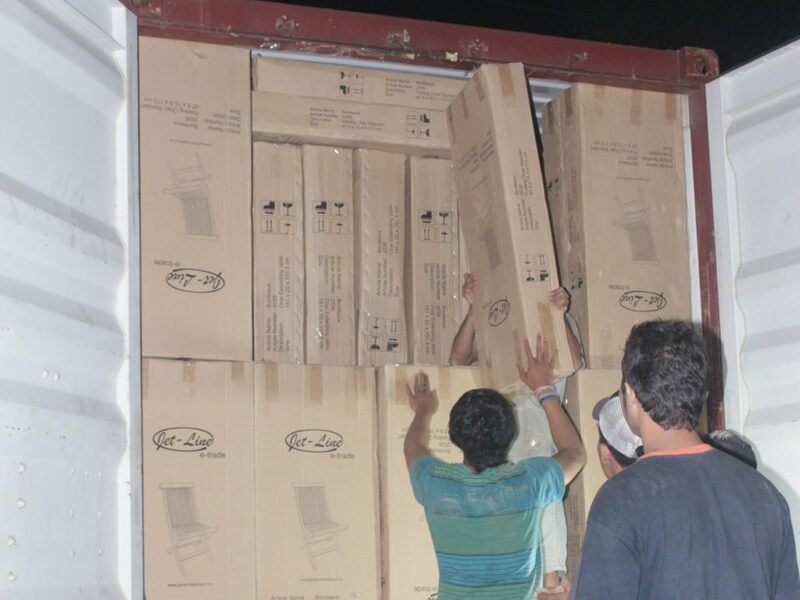 Our products has been exported to many countries all over the world. 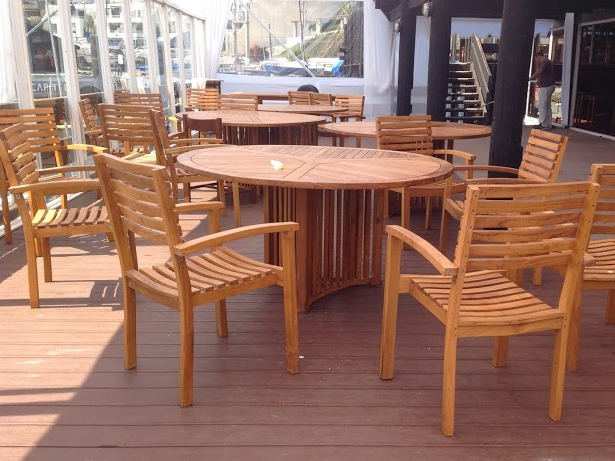 Our teak patio furniture is manufactured with quality teakwood sourced that we select ourselves from legal government teak plantations and old houses for reclaimed teak items. 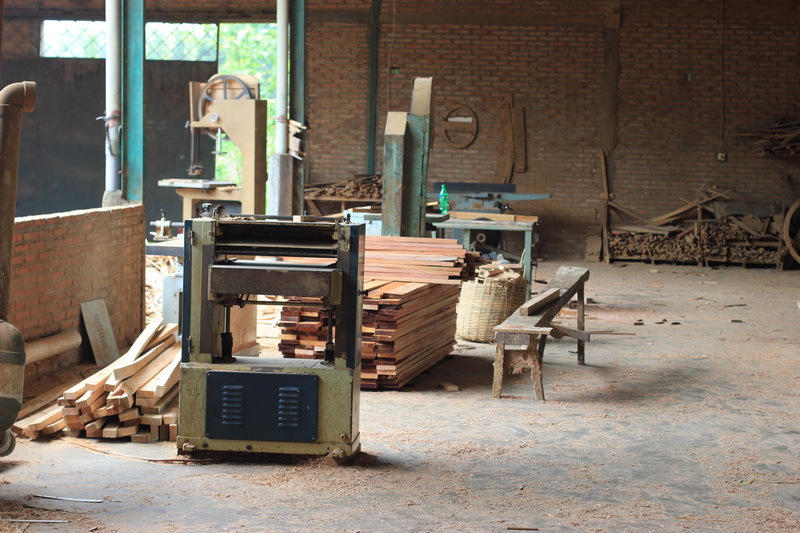 The teak wood is carefully selected and then drying into kiln dry chamber and produced using proper machines. The completed items then hand sanded until it is smooth. 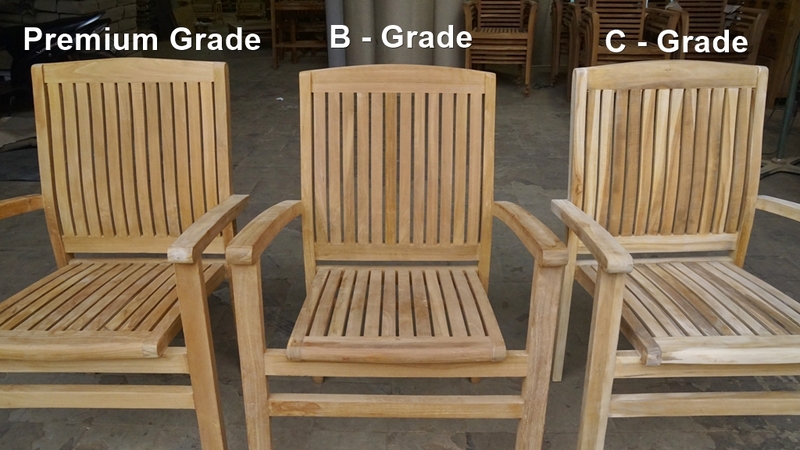 The greater part of our premium evaluation teak garden furniture is left in it’s common state and we don’t apply any teak oil or other finishing solvents, stains, or varnishes. 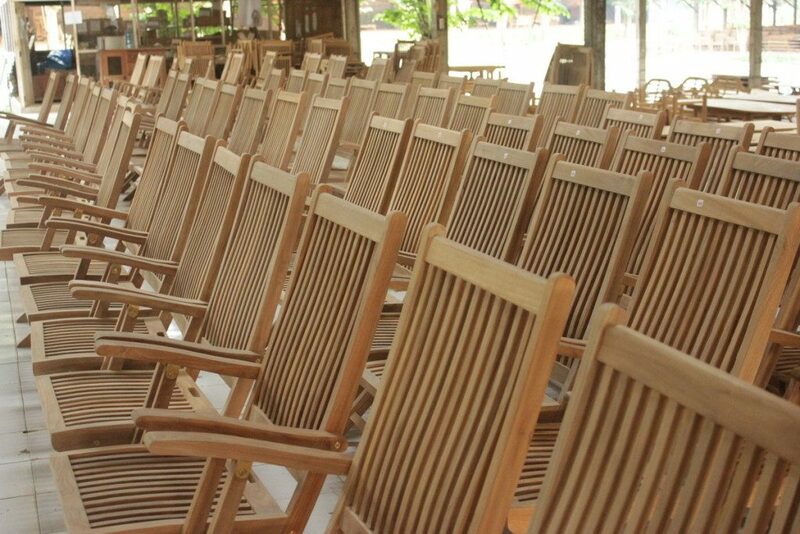 Simply immaculate and wonderful characteristic teak wood. 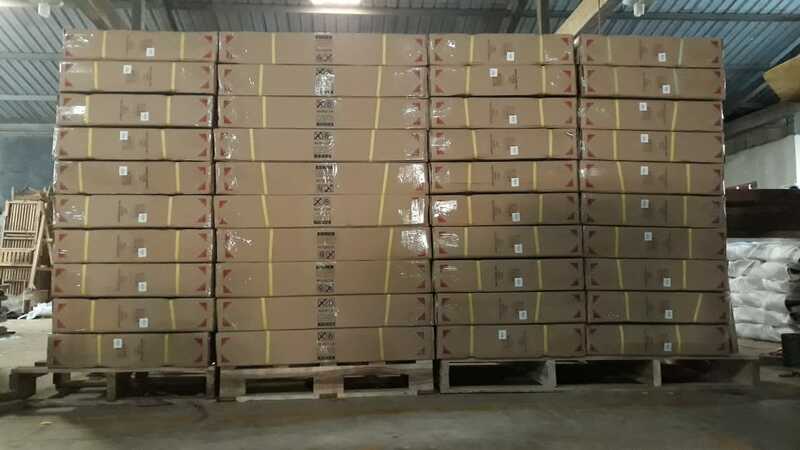 From the wood determination procedure, to the saw processing, crude materials arrangement, part cutting, get together, getting done with, pressing and stacking, we do all in the genuine assembling manufacture. 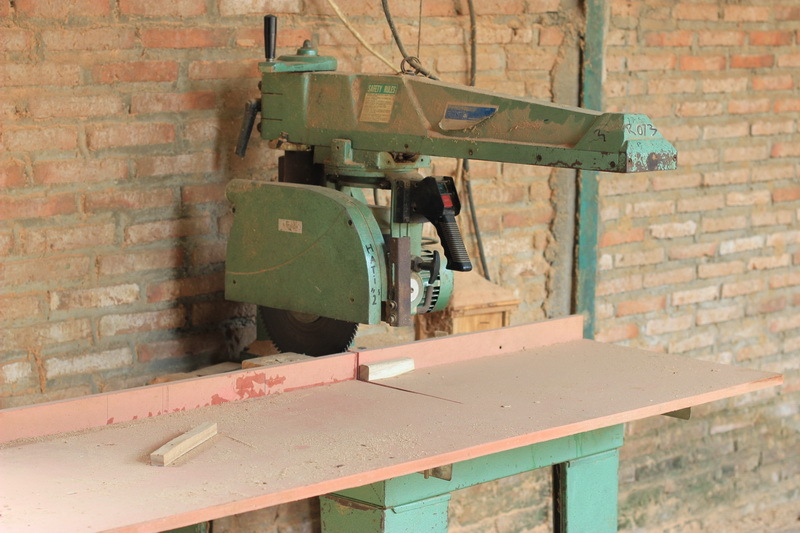 We has effectively worked for a long time and keeps continue today on our solid responsibility to produce the items for our clients who need reasonable cost and giving individual and expert support to all of them. Our Vision is; to make us as a reliable partner that can bring success to all clients. 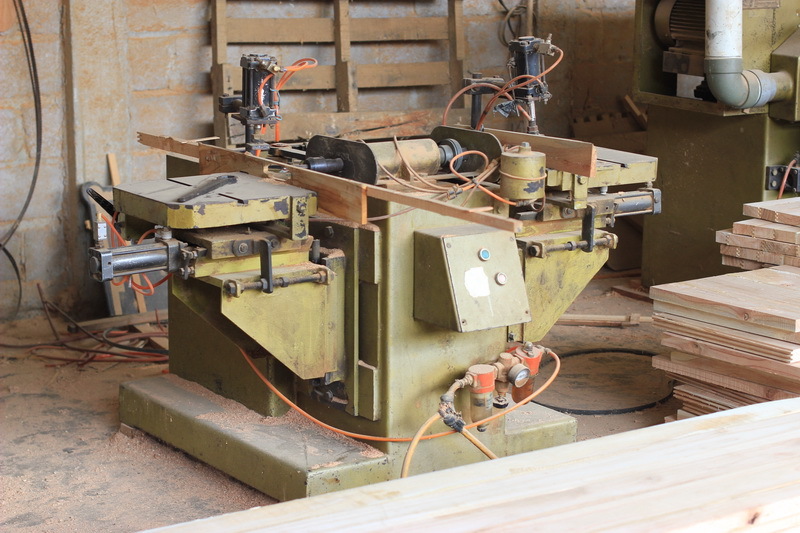 Our Mission is; to produce quality goods, the price is reasonable, timely and reliable. 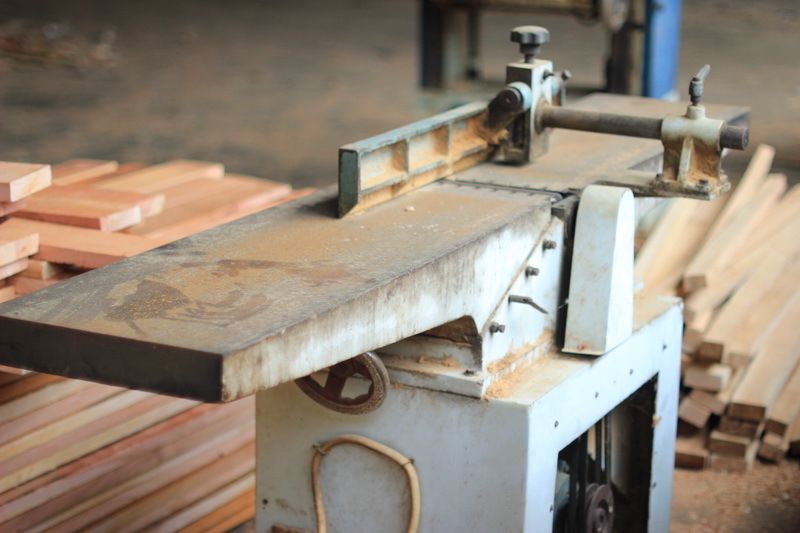 Tables, chairs, Benches, bar set, steamers, Lounger and many more Main Products for indoor Furniture: Reclaimed teak as simple design indoor furniture. 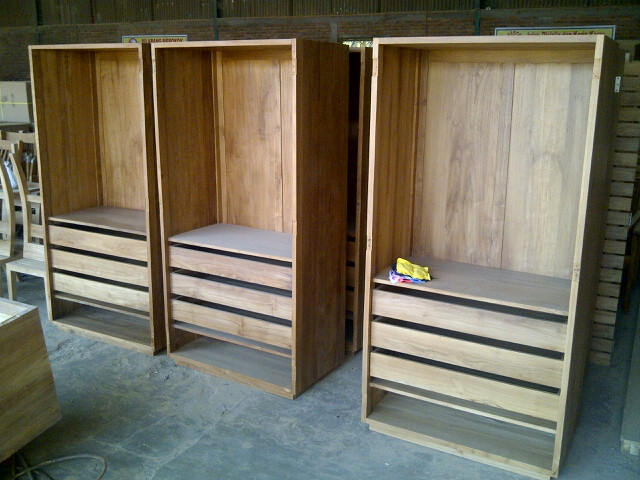 Main Material : Plantation Teak Wood, Reclaimed Teak, Recycled Teak and other woods. 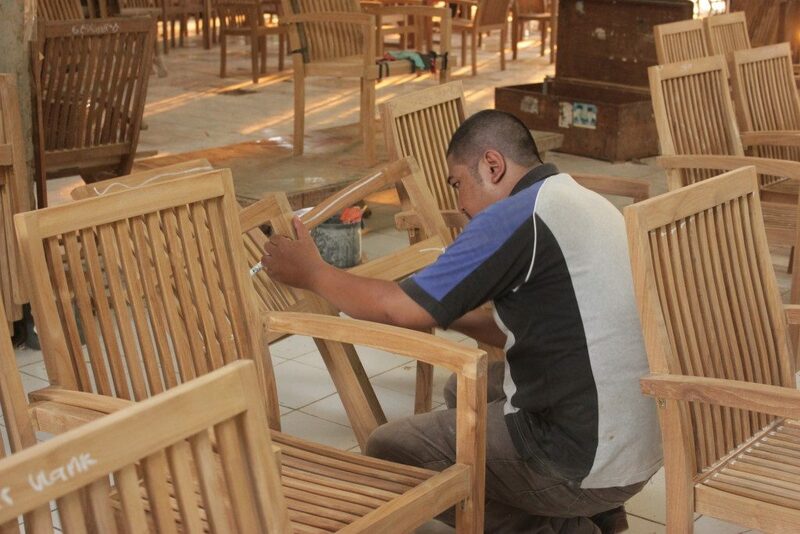 We have been a teak furniture producer since the 2006. 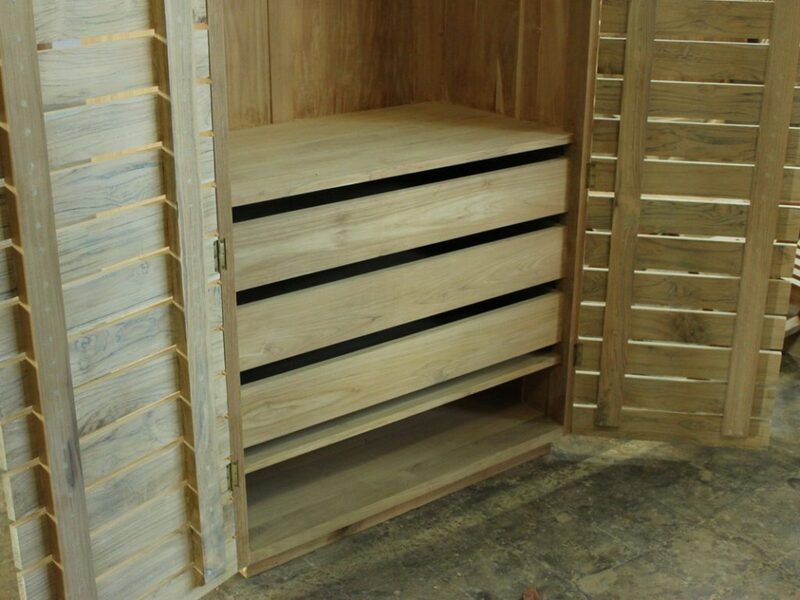 We offer our furniture at manufacturer costs to wholesaler, retailer and commercial clients. 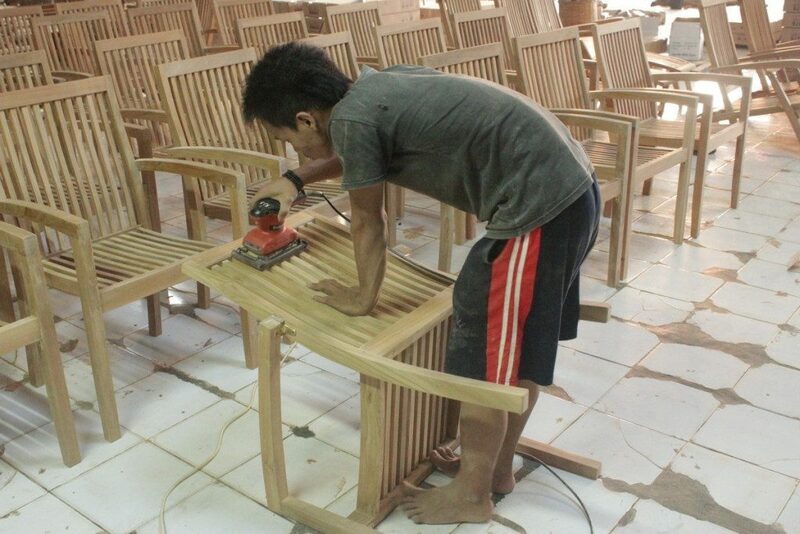 As a teak furniture manufacture, we offer the best quality and best pricing. 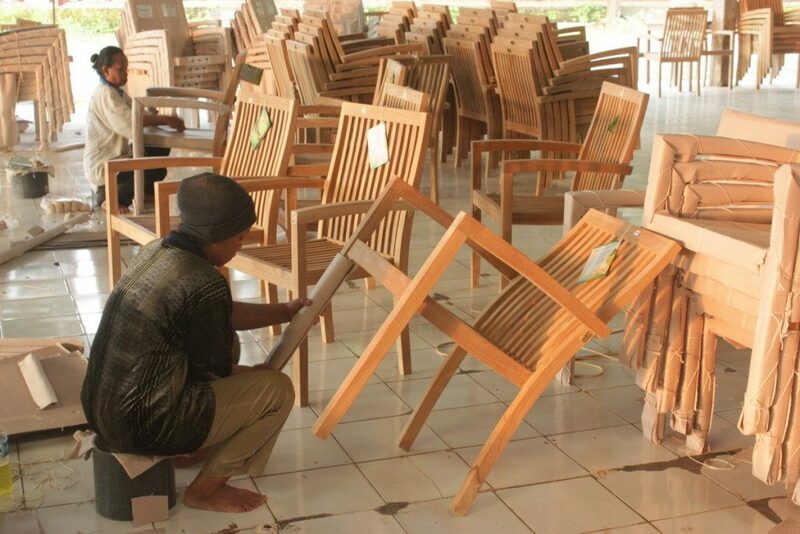 Our base camp in Jepara – Central Java, we are a noteworthy wholesale teak furniture discount to the global teak furniture market. 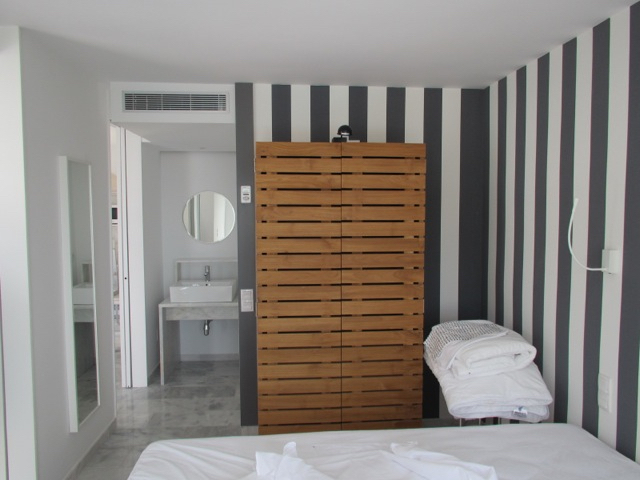 We supply outdoor furniture designer, retailer, wholesaler, restaurant, resorts, project organiser, hotels, studios, online shop, and many kind of your business. 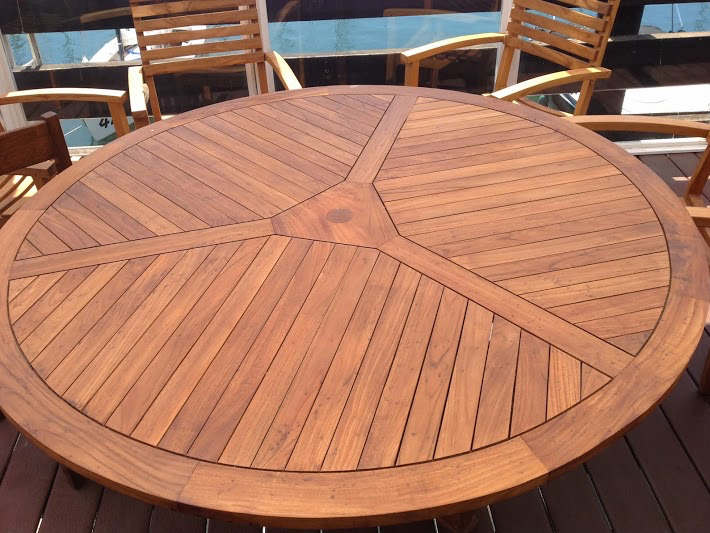 We produce many collection of teak wood and for home indoor, patio garden and outdoor furniture with strict quality control to present beautiful pieces on each products. 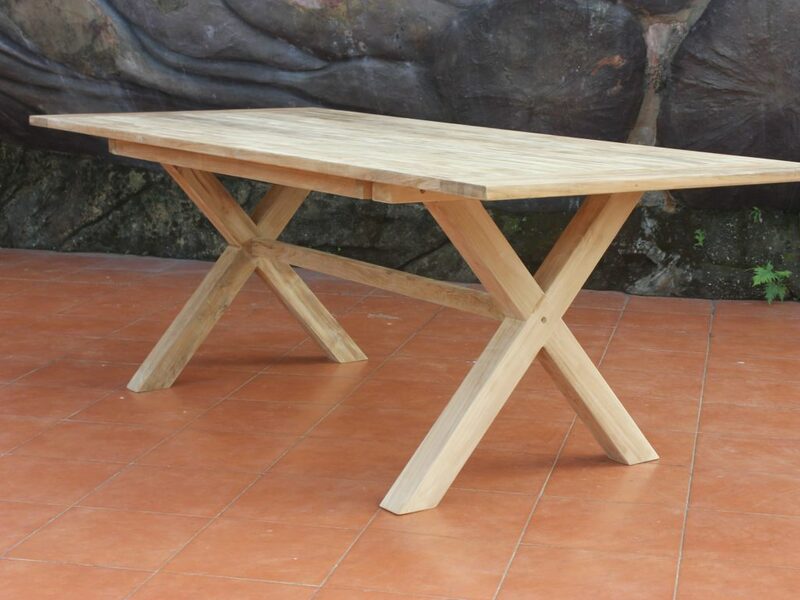 High quality solid teak wood are combined with skill or craftsman also good manufacturing process to ensure that our home and garden furniture product at the best quality. 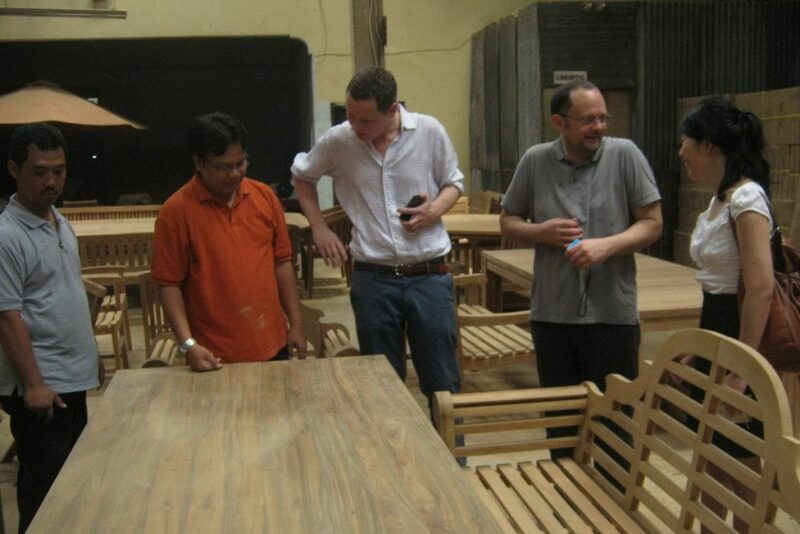 Seven years experienced in teak manufacturing, all products are guaranteed with competitive price. 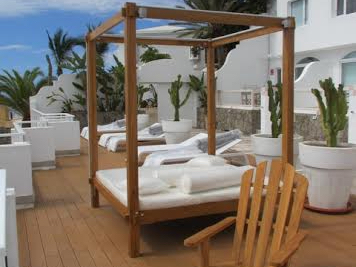 Our product range from folding chairs and other dining chairs, benches, tables, relax and lounger (steamer/deck chair and daybed, deep seating and sectional lounge, umbrella (parasol) and cushion (pads). 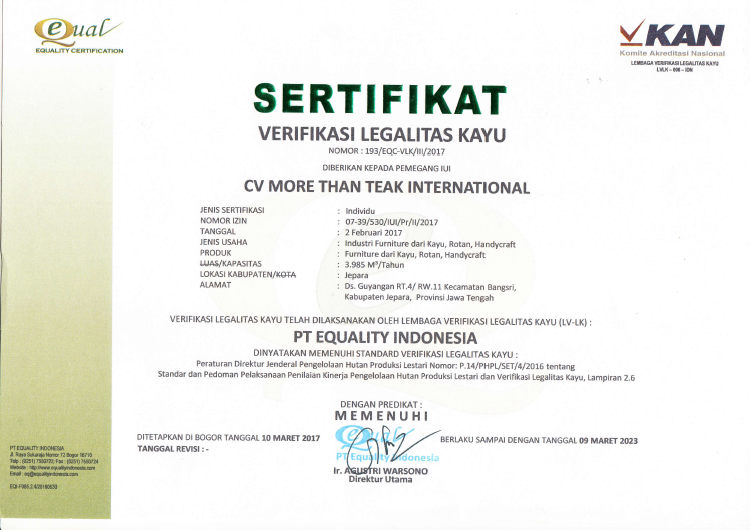 More Than Teak International has finally taken one step forward toward responsible logging and became one of many companies in Indonesia who obtain the SVLK Certification. 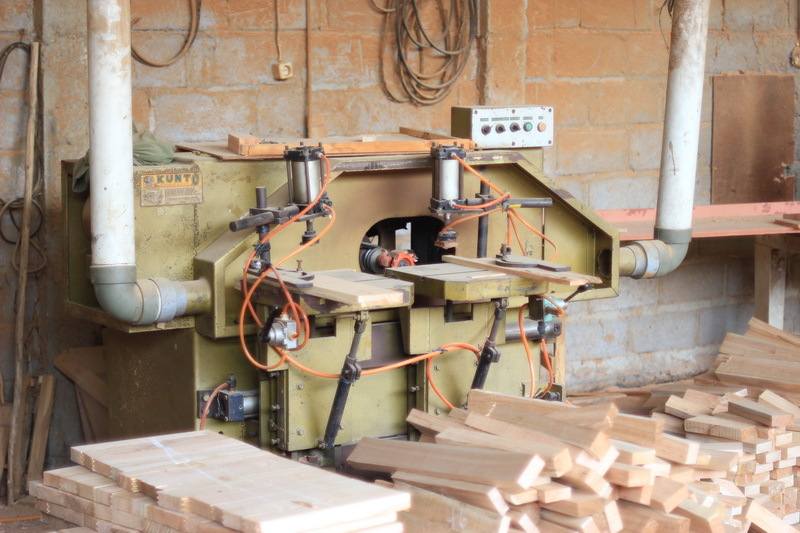 This is based on The Ministry of Forestry Regulation, which launched for concerning standard and guidelines on assessment of performance of sustainable production forest management and verification of timber legality for license holders. 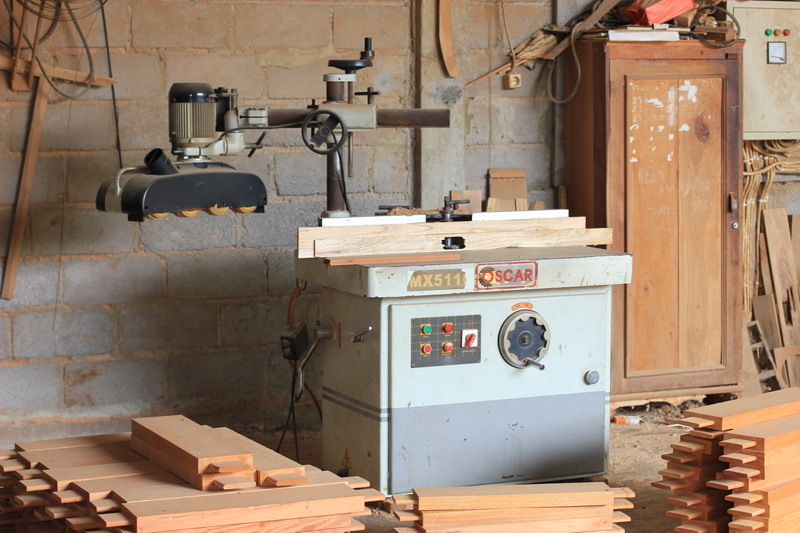 SVLK is the main key in entering the international wood furniture market. 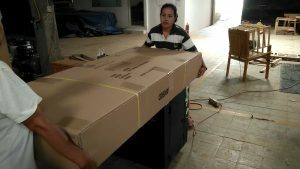 It’s certified that the manufacturer production use environmentally and friendly raw material which is managed by Indonesian government. 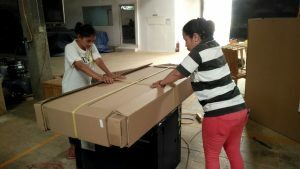 This also means that all of More Than Teak’s products come from legal sources and all our export will be accompanied by V-Legal document. 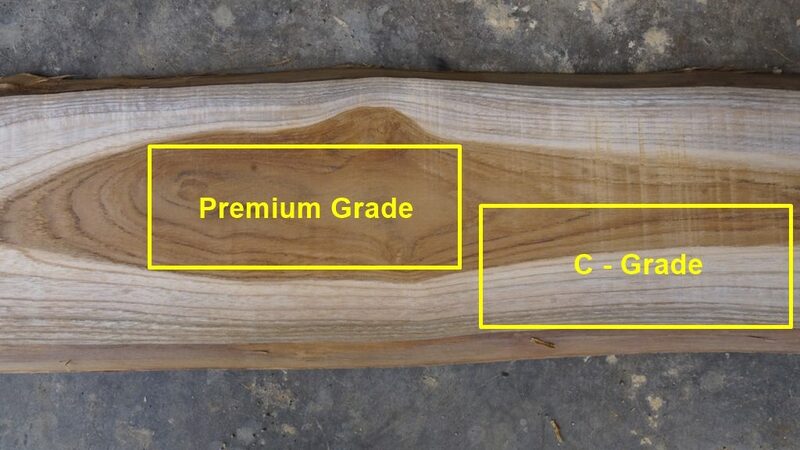 Has been certified with number of certification : 193/EQC-VLK/III/2017 make More Than Teak to be more confidence in joining the global market competition. And, most of all hopefully will increase the demand in production. 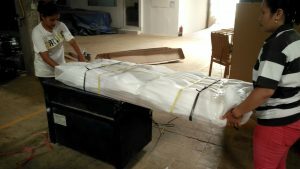 Having SVLK certification expected to gain more comfortable in doing business with the customer, and finally also keep a good relationship for a long time.